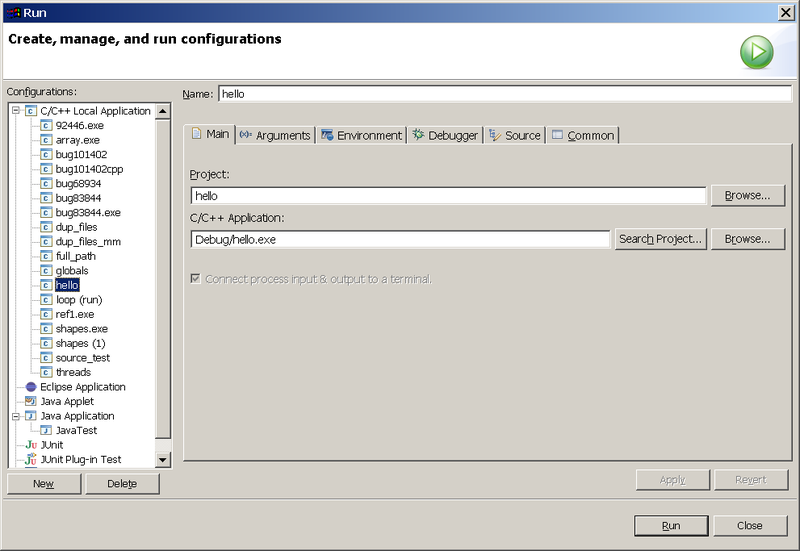 You can create customized run configuration which you can save for reuse. Click New. The name of the new project is displayed in the Configurations box. The default name is the name of the project. To change the default name of the new run/debug configuration, see Selecting an application to run or debug.